There is a famous book by a rabbi named Abraham Heschel. The Sabbath is a little book about the mystical power of the Sabbath; it has a hushed tone, as though Abraham was writing about something sacred, unveiling a secret artifact and sharing its dangerous power with the world. When I first read it I didn’t quite get it. It felt odd. I thought I should look into the practice of the Sabbath a bit more. And I discovered that the Sabbath becomes a big deal at the Exodus. We don’t hear much about it before that besides the fact that God took a Sabbath. After he was done creating the entire cosmos (and maybe others—who knows for sure? ), God rested. But besides it being a part of the rhythm of creation, the Sabbath really isn’t a big deal until after the Exodus. Then it becomes a major deal. I mean it’s a really, really, big deal. The Sabbath comes to the forefront of the meaning of being called God’s people. God writes the Sabbath down and calls it holy and tells the people that if they don’t practice the Sabbath then they are not really his people. Why does it become such a big deal in this story? Why does it take such prominence? What is the big deal? I’d suggest the Sabbath is a way of defying slavery. Slaves, by definition, cannot stop working. Sabbath is living in such a way that we are no longer slaves. The Israelites had spent three hundred years or so assimilating into the dominant cultural value system of Egypt. Generations had succumbed to never ceasing from work. It was normal to work all the time. The bustling and ever-increasing economy of Egypt demanded nonstop work. That work was imposed on the Israelites. God takes a look at this people, stamped with his image but conformed to the image of Egypt. They were supposed to look more like God than Pharaoh. So God sets out to re-create them into the people that deep down they already are. They need to make a journey from slave to co-creators with God. From driven to content. That’s when the Sabbath becomes a big deal. The Sabbath is not about function. It’s about people. So, the Sabbath is a pattern for creation. It’s the way a Creator who isn’t constantly anxious, worried, or self-obsessed works. It’s about more than him. It’s about the entire created order. God is not a control freak obsessed with his own power and glory, not allowing anyone to stop working. He is a creator who creates for pleasure and beauty. Nothing is beautiful about slavery. It’s functional but not personal. That’s not the God we find in Genesis or Exodus. The Sabbath is not about function. It’s about people. I remember the day my son asked me to take him to the park and I readily agreed. Then he asked if I was going to bring my phone with me. I said yes. He looked sad. I asked him what the problem was. He told me that when I had my phone I wasn’t really with him. It hurt a bit. Like the truth that hurts before it sets you free. I had become enslaved to my phone, and it hurt my relationship with my son. My time with him became another occasion to get some work done rather than simply enjoy his company. The Sabbath is defiance against function. It’s permission to waste time. It really is. It’s one day a week where God says, “Don’t do any work. Enjoy me. Enjoy food. Enjoy people. Prioritize relationships. Waste time.” Even writing these words are counterintuitive to me. The reason? I’m a slave—immersed in a dominant culture that prizes function over relationship and success over beauty and work over freedom. I’m in Egypt. I look more like Egypt than I do Yahweh. And that’s a problem, because the one who made me designed me to look like him. I should look like my Father. The Sabbath helps us rediscover our birthright. Surely that’s why the Sabbath is all the rage these days. It’s like a rediscovery of our birthright—like a lost treasure buried so long ago that no one knew where to find it. Surely there is a cry to be heard in the oppression of depression, sleeping disorders, and elevated stress levels (of both people and the earth). Surely there’s a cry to be heard in cows injected with growth hormones to grow unnaturally fat or fast because none of us can wait a single day or hour or minute for what we want. None of us can stop working—not ever, not even think about it—because we are more inclined toward money and status and success than relationship, beauty, and freedom. If you had to choose between a day off once a year or more money, you would pick more money. Of course you would. But when the oppression of work without rest begins to wear us down and we start to buckle under the weight of “never enough,” the sheer weight of the whole world revolving around us, we start to look for some alternative answers. And we don’t have to look far. Look at the Sabbath. The Sabbath suspends time. It points backward and forward at the same time. It grabs holds of the future God has planned—a future of shalom. Shalom is a Hebrew word often translated as “peace” but meaning a whole lot more. It is about wholeness and right relationships and the valuing and living of goodness. One scholar says it’s about the space between everything being made right. Think about that. The space between everything. Like the way you relate to others and the way they relate to you. The way you think about yourself and the way others think about you. The holes in your life that your serenity slips through (doubt, fear, anxiety, depression) all being filled up with goodness and peace. Shalom is the primary part of the Sabbath. When Jewish people celebrate Sabbath by sitting around a dinner table with the family and relishing the freedom and goodness that exists in the space between them, they clink their glasses to this toast: “Shabbat shalom.” Rest and peace. What would your life look like if you consistently reminded yourself that the world didn’t revolve around you? What if you released all that concerned you and the functionality of your to-do list and just spent some time with the space between things? What if instead of gripping the world and working and hustling you just let go and let God? How would it change you? How would it change those around you? What would it do for your family? Your friends? How would your stress level change if you turned off your phone and didn’t answer an email for twenty-four hours once a week? It might just be enough to remind you that you aren’t a slave. It might be enough to convince you that the world is in God’s hands and the weight of it too. It might release you to pay attention to the space between things instead of the things themselves. 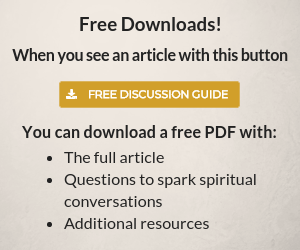 It might let freedom take root inside of you and work its way into the fabric of your everyday life. And if that’s the case then I salute you: Shabbat shalom. What is keeping you from Sabbath rest? 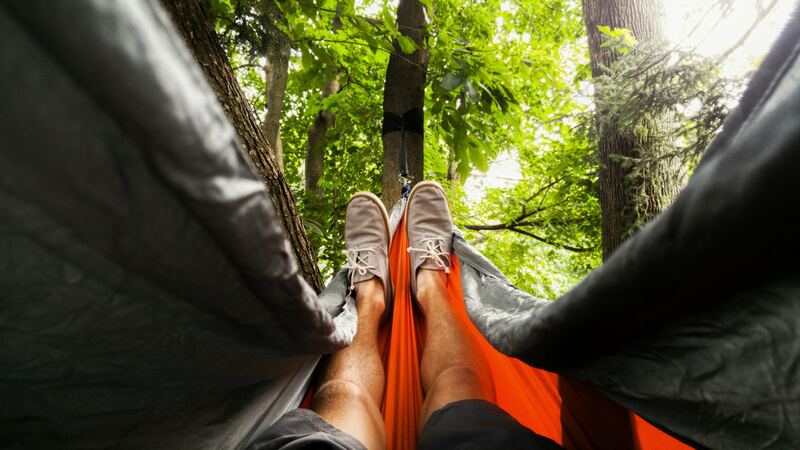 How can you organize yourself to experience rest and peace on a regular basis? 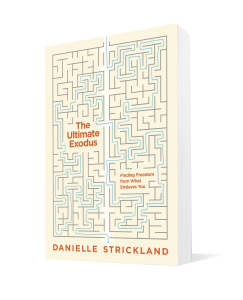 You’ve just read an excerpt of The Ultimate Exodus: Finding Freedom from What Enslaves You by Danielle Strickland. Continue reading chapter 1 here. Danielle serves as an officer in The Salvation Army in Los Angeles. She is a popular speaker, the author of several books and an ambassador for Compassion International and for Stop the Traffik, a global coalition seeking to stop human trafficking. Learn more at DanielleStrickland.com. Available wherever books are sold. The best deal on buying 10+ copies are at NavPress.com. it’s not about you its about the Creator your suppose to be doing you during the week getting your life in order communicating with family and friends the verse also says that the day is sacred unto HIM meaning it is his meeting and hopefully you will recognize the presents your in and keep it Holy. Thank you for this…Beautifully written. Yes, God has promised us rest and he had said that we should strive to enter into that rest…physical and spiritual. It doesn’t matter if you celebrate it on Saturday or Sunday. What matters is that you take the time to set aside from the hustle and bustle of life to rest and worship. Thank you Esther! God bless you.